While you are all waiting for Navi (admit you do! 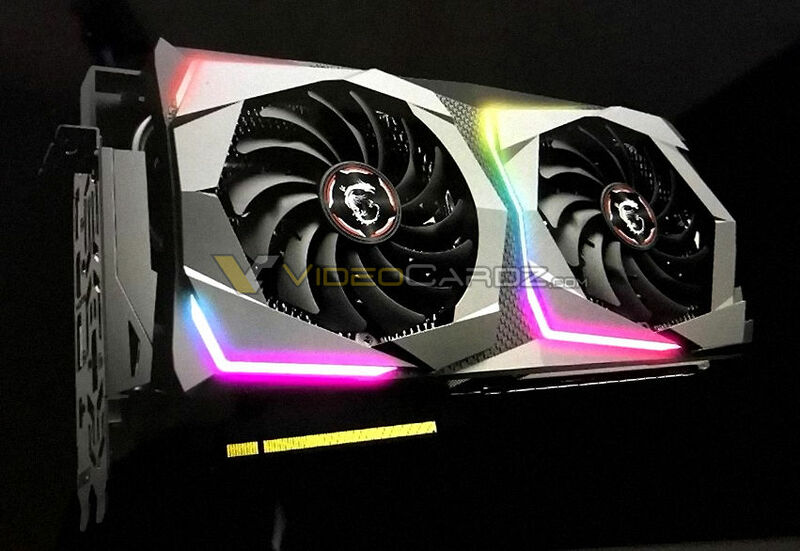 ), MSI is preparing a new RTX graphics card. The RTX 2070, probably the most interesting card that will be released this month, is slowly appearing on manufacturers sites. Most of these cards are using the same cooling solutions as RTX 2080 series, but some aren’t. One of such exceptions is GAMING X from MSI. This model does not require any powerful triple-fan design, the GPU itself is much smaller (I’m still pretty sure it was originally planned for 2060 series). The new card is called GAMING X (this naming is clearly going back to Pascal’s black/red series). MSI RTX 2070 GAMING X is a dual-slot card, which is important to note since GAMING X TRIO are all thicker. What you won’t find on this card are NVLINK connectors, in fact, even the old-school SLI connectors are missing. There is nothing but sadness for dual-GPU lovers, GAMING RGB sadness.